The first comedy of the year has a damn fine chance of being the worst. 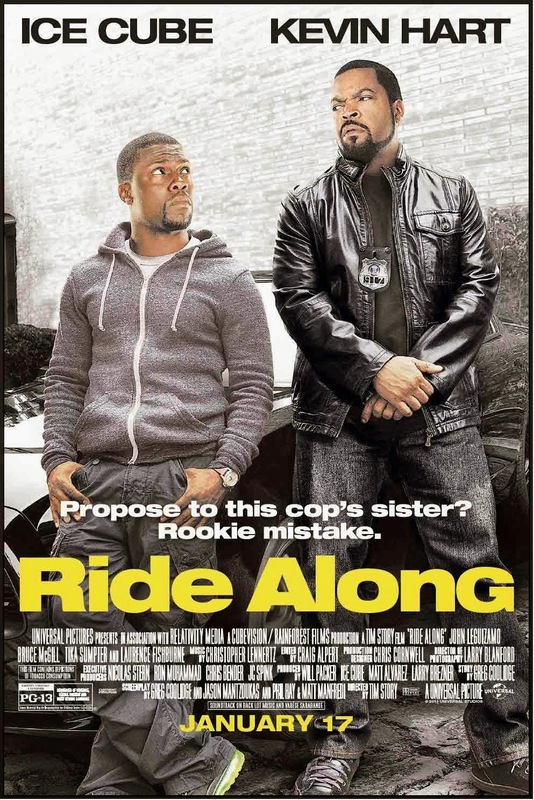 “Ride Along” isn’t just a lousy comedy flick, it should numb the brains of moviegoers of all sexes and ages. Before you start hating, I think you should know that I’ve got nothing against a dumb comedy film on a Thursday night. I mean what’s not to like about escapism? “Ride Along” helpfully answers that question by giving you tons of stuff not to like. One accomplishment I can’t deny is that it makes the godawful “Cop Out”, a 2009 release, look like The Godfather in comparison. Credits go to Ice Cube and Kevin Hart, two crappy actors who shouldn’t be acting in the first place. Ice Cube plays an Atlanta police detective who gives a “ride along” to his sister’s boyfriend (Hart) to prove that he’s got what it takes to marry her. Yep you guessed it: this is basically a one joke premise stretched to the breaking point. In other words it’s one hell of a boring ride.